Based near Kinross, Archie has worked in the Supply Chain and Logistics sector for over 30 years - he claims he started at 3 years old. With experience in frozen distribution, 3rd party operations, the drinks industry and wholesale distribution operations. He now operates as an independent consultant specialising in warehousing and distribution productivity and change management. He also works with small businesses on mentoring and performance improvement. Archie has a part-time post at Stirling University where he teaches the realities of supply chain and logistics management to 3rd year marketing & retail students - a role he finds extremely rewarding, apart from marking the exam scripts! 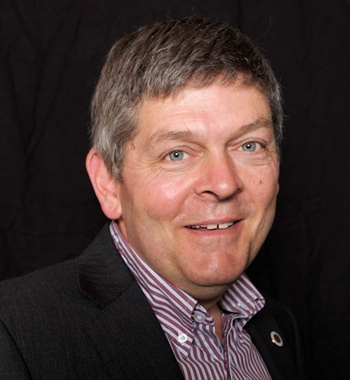 Archie has had a lengthy Institute career, starting with the Institute of Materials Management, which merged with ILDM in the early 1990's, becoming the first Scottish Region Chairman of the newly formed Institute of Logistics. After a few years off for good behaviour, Archie has returned to Scottish Region Committee and is keen to ensure that the Institute remains relevant to members in the fast changing world of the 21st Century. In his spare time he can be found helping his wife with their small flock of Shetland sheep on their smallholding, and working in the garden.